Let’s Go Floral With Sapphire Dies! 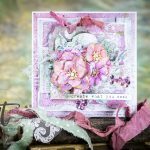 Hi Christine here today and I’ve been having a fun time creating with the new Sapphire dies. 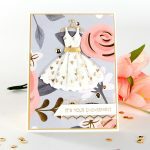 I want to share with you a card using purely white cardstock and then adding a splash of color with inking. Sapphire. 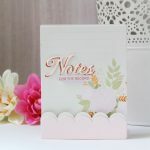 This portable new addition to the Spellbinders family is great for beginning crafters or for those of you who like to craft on the go.